It seems my obsession with felt babushkas came to an end. 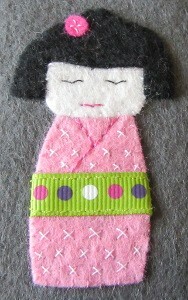 I have made a few of them though, and some will soon be for sale, more about this later.Anyway I’m now working on Japanese dolls like creatures. 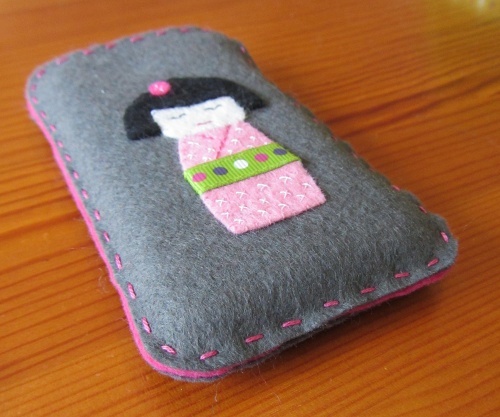 Yesterday I have completed a new phone case featuring a Japanese doll on the front. I am really happy with the overall look of the case. I particularly love the way colours work well together. Check out the pink outline on the front, back and side of the case.